I was talking with Dan Hertzberg (of 6.04 Megahertz) in the Partner Pavilion at SolidWorks World 2013 on the Monday night. At the time he was telling me about the zSpace display when Rick Chin (Director of Product Innovation) wandered by. We had an interesting discussions, with Rick telling us about the soon to be released update of eDrawings (for iOS devices) which was to add Augmented Reality! At that time it was just waiting for finally approval by Apple and was just a couple of weeks away! 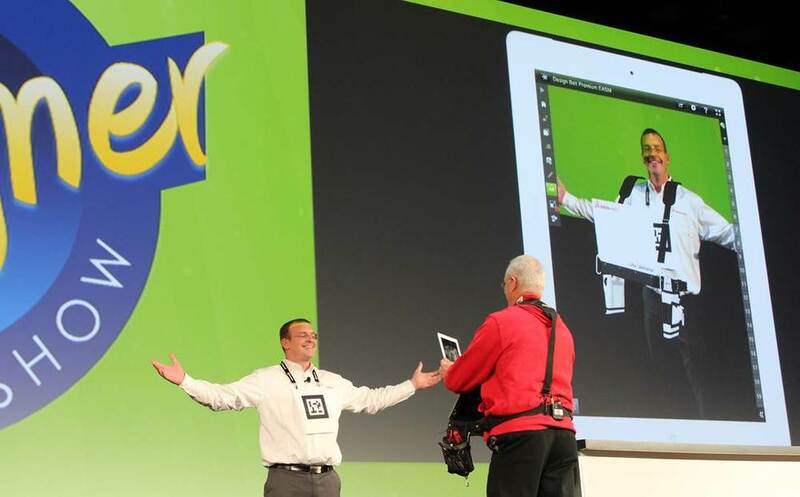 We had a tease with a brief example of Augmented Reality in the Wednesday morning General Session during the SolidWorks 2014 preview! 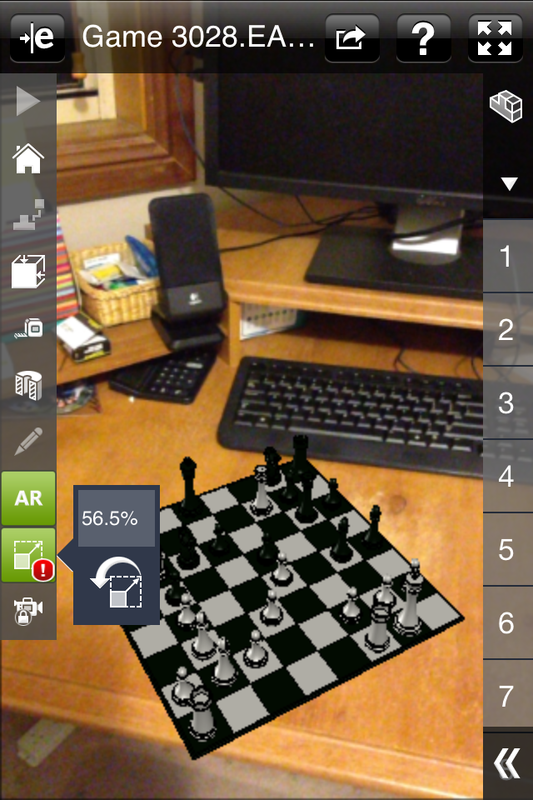 After a slight false start (a weeks ago) where there was a bug which prevent the camera from launching. So after a patience (!) wait yesterday saw the eDrawings 3.0.1 Update and finally a change to try for myself! Although there is a short sample video (selectable inside the App), all that was really needed was to email myself the “Marker” and Print it to the correct size! 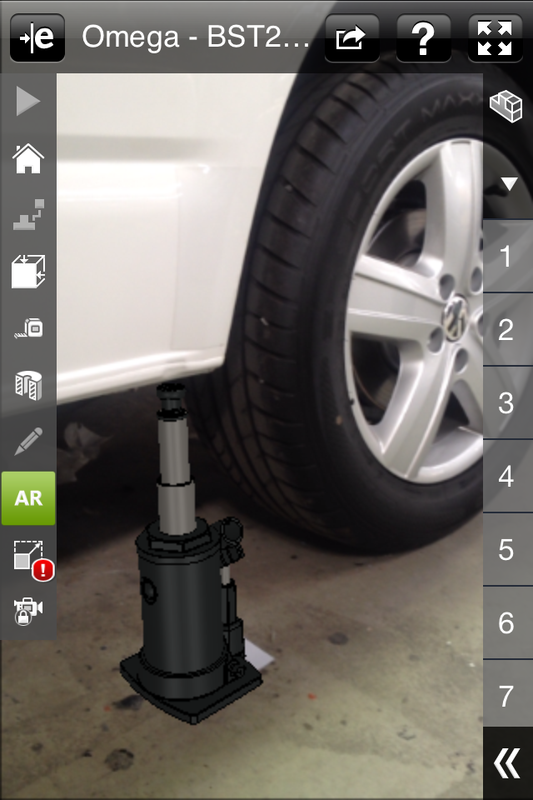 Open a model in the App, place the Marker in the required position and aim the device toward the Marker! The effect is really quite sensational! The model displays in the correct perspective, is rotatable and can be scaled to suit! The images really don’t do justice to the effect you see on the screen! 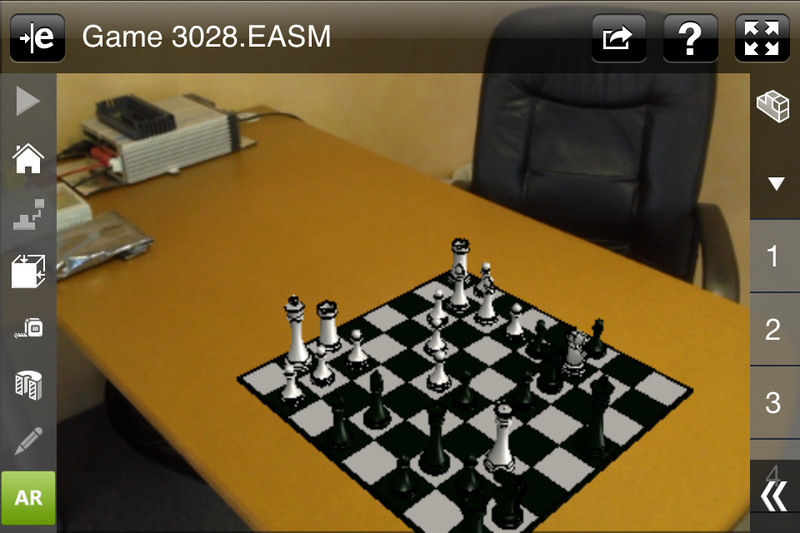 This quick video showing eDrawings Augmented Reality on my iPhone might give a better idea! eDrawings (for iOS devices) just keeps getting better with each release.